Scramble eggs in a small pan over medium heat. 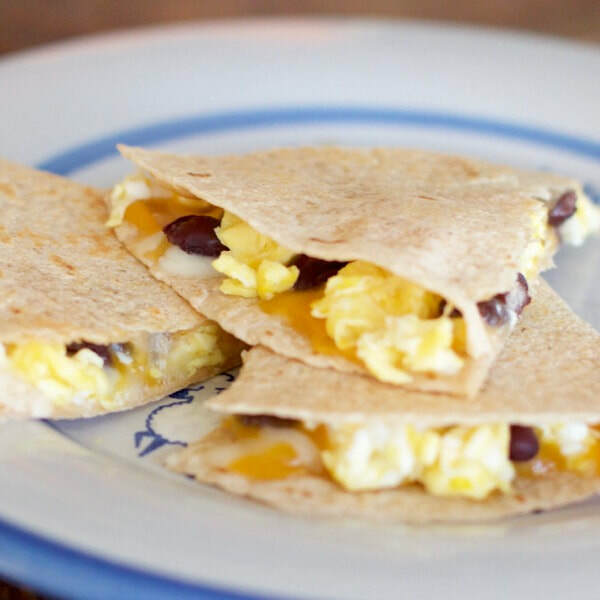 Put ¼ of the cheese and scrambled eggs on each tortilla. Add any veggies or beans you'd like. Heat 2 quesadillas at a time in microwave on high for 20-30 seconds or until cheese melts. Heat each quesadilla in a non-stick skillet for 3-4 min on medium heat.